Last night the weather cleared up around 11 pm at my house and I put 2 more hours of HA data on the Bubble wide-field I stared last week. This will give this target just under 6 hours of exposure so far. I think I'm done with the HA and will add some LRGB next new moon. I also have an OIII filter on order from Adorama but they being in NY might delay it's arrival due to the storm. 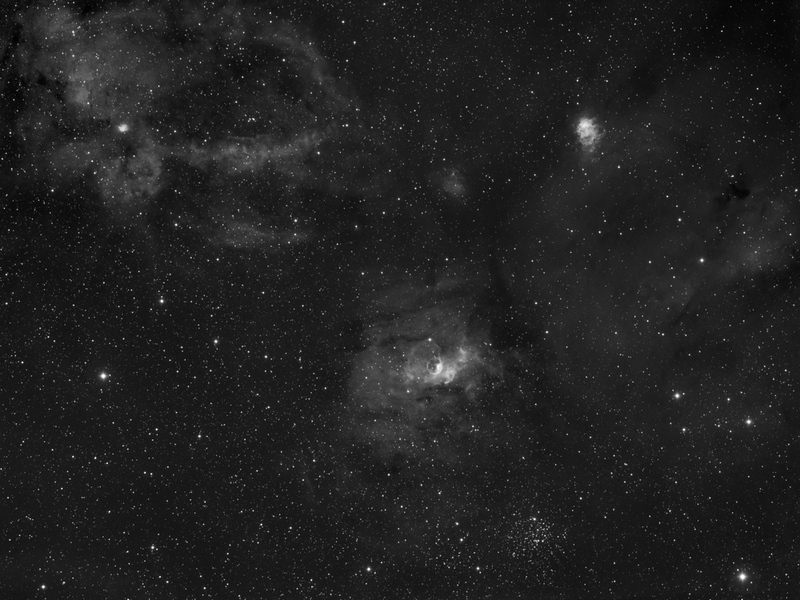 Once it arrives I plan on adding OIII data and then creating a Ha,OIII,lrgb composite that should look cool.